AD Piston Ring offers custom coatings and plating for piston rings and seals. Coatings and platings for piston rings can extend the product life and performance of piston rings and seals as well as, aid in the release, minimize galling, overall better wear and offer anticorrosion. Proprietary processes and licenses can be made with you to protect your interests, giving you a competitive advantage. AD Piston Ring is dedicated to providing the best and most cost effective surface treatment. We can develop the proper coating on the substrate, extending the life of the piston rings and improving the performance and operational efficiency of your products. All piston rings at AD Piston Ring if no special coating is required, are shipped with a wax coating to prevent corrosion prior to piston rings being installed. Manganese Phosphate – Offers improved break-in and better wear resistance. Often goes by the name trade name, Parco Lubrite. Zinc and manganese coatings are used to help break in components subject to wear and help prevent galling. 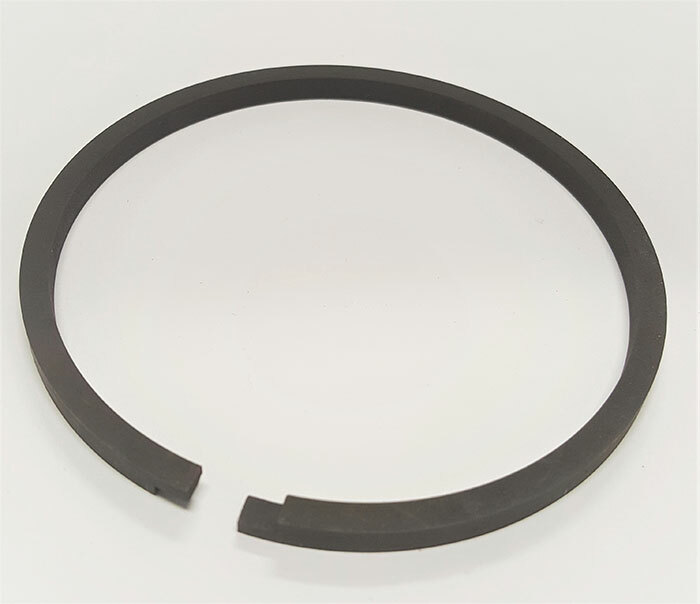 Manganese phosphate is primarily used on cast iron piston rings and seals extending life and offering better wear characteristics and help prevent galling. Cast Iron piston rings can have manganese phosphate applied as a protective coating per SAE AMS2481.0 thermal coatings and plating’s designed to improve lubrication efficiency and to increase wear resistance for your sealing applications. Not applicable to stainless steel piston rings or bronze piston rings. Nitride – Nitride coatings are more environmentally friendly then chrome plating and offers a hard coating on yourpiston ring, superior wear resistance and lower coefficient of friction for cast iron piston rings. Nitride coating hardens all surfaces of the piston ring or seal for increased wear resistance. Zinc Phosphate – Zinc Phosphate coating on cast iron piston rings are used to help break in components subject to wear and help prevent galling. Not applicable to stainless steel piston rings or bronze piston rings. Black Coating – also known as manganese phosphate coating. Nickle Plating – as dimensioned, could flake off, not always recommended. Moly Coating – Offers some lubricity and some transfer to the mating surface. Good for dry starts. Oil Coating – Rust preventative. Wax Coating – Standard rust preventative coating applied to all piston rings and seals if no special coatings or plating’s are asked for. Chrome Plating – Chrome plating on cast iron piston rings and seals is hard, prevents galling and wears very well. Primarily used on cast iron piston rings and seals. Copyright © AD Piston Ring. All Rights Reserved.